I’m not usually into contemporary either, but Kasie West is being an exception for me! Even though her characters don’t make perfect choices there isn’t usually the same level of drama involved as there is a lot of time in YA contemporary. And yes, I’m enjoying Austenland; it’s pretty funny! I haven’t read either of them but am really looking forward to read both! 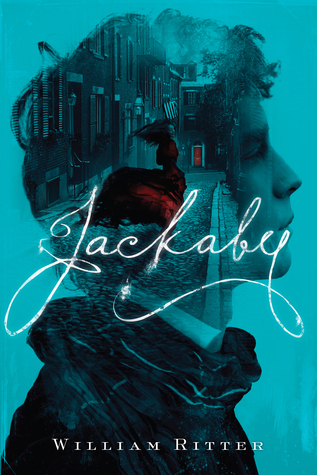 Jackaby sounds pretty intriguing and though I haven’t read any of Kasie West’s books as of yet, I do have The Distance Between Us on my shelf. Hehe. Great review! I’ve really become a Kasie West fan this year; hope you do too! I thought maybe this post was about the TV Sherlock! I don’t think a fantasy retelling of Sherlock would be my cup of tea but I’m glad that it worked out ok for you in the end. I really enjoyed On The Fence, I think KW has the market in cute, contemporary ya romances cornered. Her characters are a lovely blend of realistic and relatable and I love the dry wit that runs though her books. Sorry it wasn’t about TV Sherlock! I haven’t watched the show yet but I fully intend to one day! And I completely agree with your thoughts on Kasie West!